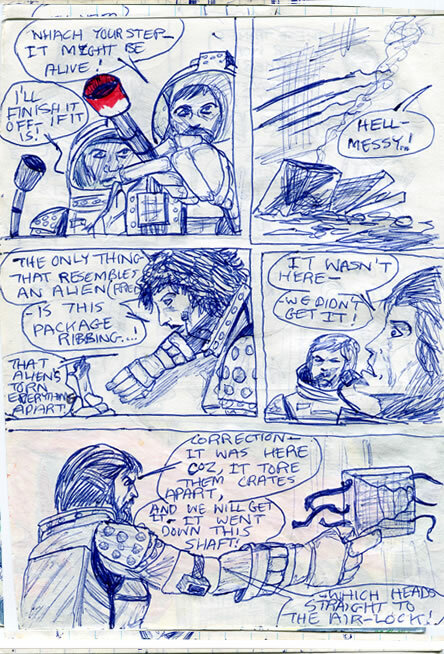 ALIEN age 11 - Comic/Graphic Novel and Blog: "It might be alive! c.1981? "the only thing that resembles and alien (fried) is this package ribbing...!" One of the things that was most exciting and frightening about the alien was its incredibly rapid growth from something a foot long - to 7 feet tall, in the space of a few hours! I'd forgotten about it really - about how weird and exciting a concept that is. But when I cast my mind back to when I was a kid, reading the book and making this comic I can recall the shock of that sudden growth - and shock for the crew. It's so implausible isn't it? But exciting. The whole thing is so fantastic that you come to be able to believe anything. Even the crew at one point - in the book - propose that it might be able to squeeze through smaller vents than itself - or even become invisible! "Ample evidence of the alien's handiwork lay scattered about, untouched by the flames. Packages of every size were strewn about the floor, opened in ways and by means their manufacturers had never envisioned." "Solid metal tins (...) had been peeled apart like fruit." 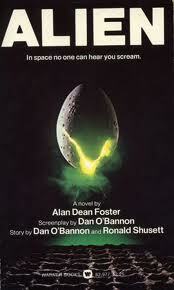 As a kid, I hadn't even imagined that the alien was feeding on the crew. I suppose it seemed like a short-lived creature that exists solely to make more aliens. It's born, grows rapidly, makes more of itself and shortly dies. 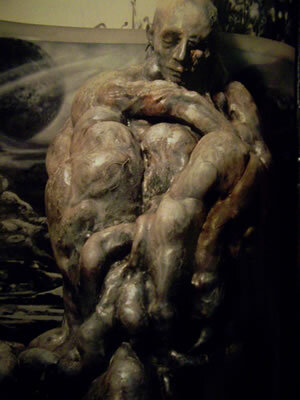 A thankfully unused design by Giger. Ughh. I was reading over on a forum that in the original film, the idea was that the humans are cocooned and turned into eggs - that birth facehuggers. I'd never heard of this before. I assumed it was the way of the Cameron film: Alien lays eggs and the cocooned humans are restrained so that the facehuggers can impregnate them etc. More on Monday - enjoy the weekend - a spread the word about the comic? Hardly anyone reads it!